To improve the outlook for Aboriginal Australians we must work together to reduce the gap between Aboriginal and non-Aboriginal people in our society. We can achieve this by empowering and building capacity among Aboriginal and Torres Strait Islander people and their communities. Since commencing operation in 2005, the Foundation has maintained its focus of improving the quality of life for Aboriginal and Torres Strait Islander people by promoting strong role models and healthy life choices. The Foundation has established a number of successful programs in Perth, regional Western Australia, Victoria, New South Wales, ACT, and more recently Queensland, and in doing so, has reached thousands of Aboriginal and Torres Strait Islander people of all ages. The main focus of each program is to improve the life outcomes of Aboriginal and Torres Strait Islander people by targeting areas at specific stages of their lives. The West Coast Eagles Football Club and the Wirrpanda Foundation acknowledge their corporate and community leadership responsibilities and understand the important role that Australian football can play as a vehicle for social change. Both organisations share a passion for assisting in ‘Closing of the Gap’ endeavours (reducing disparity between Indigenous and non-Indigenous Australians in the areas of education, employment, health and justice) which is why we have developed the Bidi Waalitj program as a way of creating employment opportunities for Aboriginal and Torres Strait Islander peoples. Bidi Waalitj, which means 'Path of the Eagle' in Nyoongar language, is an empowering youth initiative funded by the Department of Jobs and Small Business and a collaboration of the Wirrpanda Foundation and West Coast Eagles. The program’s mentors, Chance Bateman and Alisha Roberts, source 15-24 year old Indigenous jobseekers living in Perth’s southern suburbs, provide them with intense support to overcome any employment or social barriers they may have at the time of signing up, then continue to work alongside of them by creating a very supportive and safe environment throughout their whole job seeking journey and to give each participant the best possible chance of retaining long-term employment the mentors provide post-placement mentoring for a minimum of 26 weeks or longer if required. The Wirrpanda Foundation has been considered by many of their corporate clients and partners to be best practice in the area of Indigenous employment, when combined with the vast network of corporate partners and support the West Coast Eagles have been able to create through their sustained on-field success and the outstanding work they continue to do in the community, the strength of this program is the ability of both organisations to put the participants in front of employers who are just as passionate about providing employment opportunities to Indigenous youth and in doing so change that person’s life, and impact on their communities, forever. More information can be found by downloading our Bidi Waalitj Employer Pack (link) and Wage Subsidy and Youth Jobs PaTH Fact Sheets (link). If your organisation is passionate about creating significant social change, and wants to join us on this very worthwhile cause, please get in touch with either Chance Bateman - chanceb@wf.org.au | 0417 958 616 or Alisha Roberts - alishar@wf.org.au | 0433 659 607 to find out more. Students attend the homework centre after school, receive a healthy snack and are supported to complete their homework tasks. A weekly health, nutrition and fitness program aimed at school children aged 5-12 years that educates participants about their culture. The program is currently delivered to three schools in Canberra. Wirrpanda Foundation role models travel to regional and remote communities to provide aspirational guidance to Aboriginal and Torres Strait Islander children and their families. Children are encouraged to attend school, make healthy life choices and improve their behaviour. Past locations have included Onslow (2009-2015), Carnarvon, Meekatharra, Wiluna, Pia Wadjarri, Walu and Fitzroy Crossing. The program aims to increase the number of Aboriginal people participating in sport and recreation in the Great Southern region. 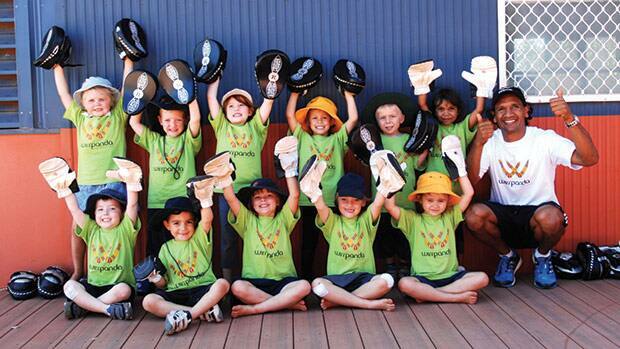 Program activities include a weekly sports program in Tambellup and Gnowangerup. The program operates on an individual case management basis in addition to providing cultural awareness sessions to local organisations. Since February 2014, the program has delivered cultural awareness sessions to more than 120 participants and re-engaged 756 people in local sporting clubs. A weekly health and leadership program that aims to engage, educate and empower at-risk or disadvantaged Aboriginal and Torres Strait Islander boys aged 10-17 years to make better choices for their health and their futures. The program operates in the Peel region of WA and aims to educate the participants about risks of drugs and alcohol, gambling awareness, nutrition, mental health, building self-esteem and confidence and developing leadership capacity. The Deadly Sista Girlz program aims to engage, educate and empower at-risk or disadvantaged Aboriginal and Torres Strait Islander females aged 10-18 years to make better choices for their health and future. The weekly health and education program is delivered at 21 schools and community centres across Broome, Katanning, Kwinana, Perth, Melbourne, Bendigo and Brisbane. Sessions focus on leadership, self-confidence, goal setting, culturally appropriate health awareness, drug, tobacco and alcohol education, mental health, financial literacy, fitness & nutrition and school retention. A weekly diversional program for young Aboriginal and Torres Strait Islander boys aged 10 -19 years who have entered or are at risk of entering the youth justice system. Positive male mentors provide assistance to participants to re-engage in school and the community. The program has been piloted in the Kwinana and Great Southern regions. Deadly Culture is a cultural diversity program designed to broaden the knowledge of individuals or organisations with the aim of bridging the gap. Workshops are engaging and interactive and draw on the experiences of the facilitators and the participants to share their stories, knowledge and strategies of empowering Aboriginal people. They can be delivered in a variety of settings and to all levels of employees within an organisation. The program provides intensive individual mentoring to Aboriginal and Torres Strait Islander boys and their families, aiming to reduce the recidivism rate of Aboriginal boys aged 12- 19 years. Moorditj Ngoorndiak operates in two phases with weekly contact pre-release in Banksia Hill Detention Centre and further contact upon release. Mentors provide ongoing support to ultimately achieve positive education, employment and health outcomes. Providing Aboriginal and Torres Strait Islander jobseekers assistance with attaining their driver’s license in order to increase opportunities for sustainable employment. Upon completion of this qualification participants will be supported into the P242 or VTEC Employment programs. The Plan 2day 4 2morrow program is aimed at inspiring and creating opportunities for long-term unemployed Aboriginal people to reach their full potential and gain employment. Operating on an individual case management basis mentors can assist with any relevant qualifications or skills that currently act as a barrier to employment, and provide intensive ongoing mentoring for job seekers and their families. As a component of the P242 program, mentors run weekly FIT 4 WORK sessions in Leederville and Kwinana, aimed at improving physical fitness, self-confidence and presentation skills. The VTEC program works with corporate organisations in the resources sector to place and mentor Aboriginal and Torres Strait Islander jobseekers in long-term employment. Jobseekers that require extra training are supported to gain qualifications to improve employment prospects. Candidates have a range of experience and are screened on their attitudinal and behavioural competencies for the various types of work and environments, aiming to provide motivated, committed and strongly supported employees for the workplace. Transition to Work is a service run in partnership with Communicate to support young people aged 15–21 on their journey to employment. The Transition to Work service has a strong focus on practical intervention and work experience to build a young person’s skills, confidence and readiness to engage in employment or re-engage in education and further training. Since 2008, the West Coast Eagles have dedicated one round of the AFL fixture to be nominated as the AFL Indigenous Round to raise funds for the David Wirrpanda Foundation. 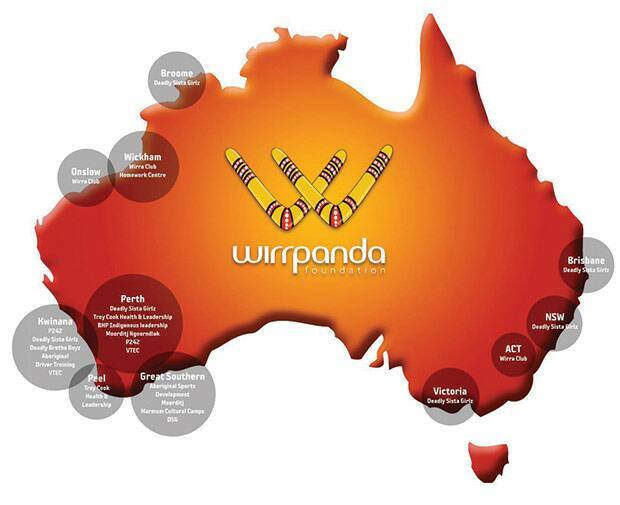 Please click here to visit the Wirrpanda Foundation website.